We arrived past 10pm in Gold Coast and by the time we put our bags in the hotel, almost every restaurant was closed. 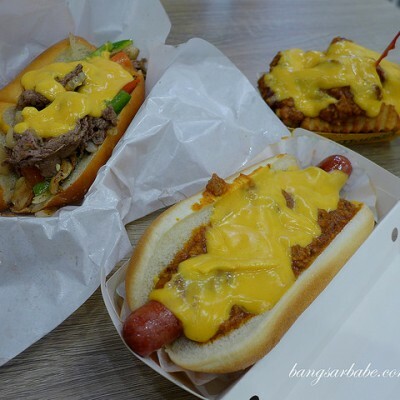 Except McDonald’s and Hungry Jack’s. I didn’t care for either of them, but they had wifi and I needed to use the internet badly. Blogger syndrome, I know! Grand Angus sounded mightier than Mighty Angus, or so I thought. Turns out, it was hardly grand. rif’s Mighty Angus was better than mine. 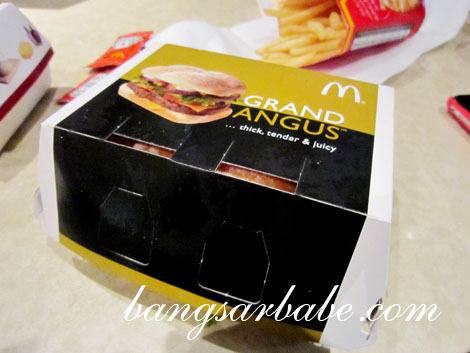 The Grand Angus tasted very much like Big Mac. I was sorely disappointed. HAHAHA! Me oso like to try people’s McD!